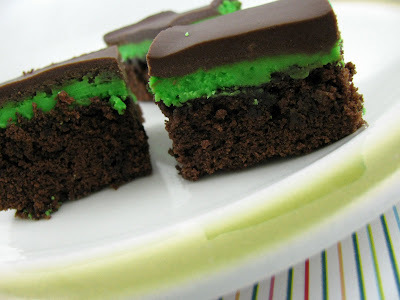 I love,love, love brownies! Oh yum, especially the ones from the box. You just can't go wrong. Add a few nuts and I am in heaven! 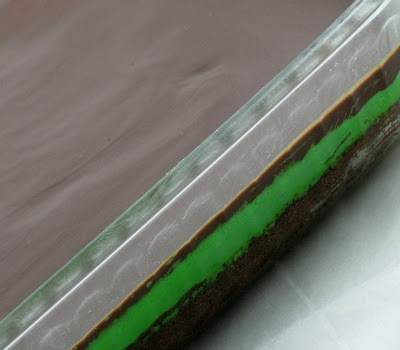 These, I'm definitely making. Thanks for sharing. that is soo funny that you posted this brownie. 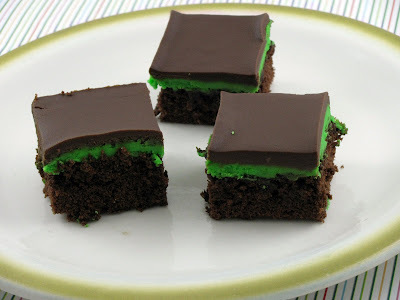 I was SOO going to send you a mint choc brownie recipe JUST similar to this one! hilarious! i am glad that you have this one! it looks divine! oh god, that looks divine! i love the frosting recipe. These are super easy! I love to hear how yours turn out if you make them - and they are so beautiful! 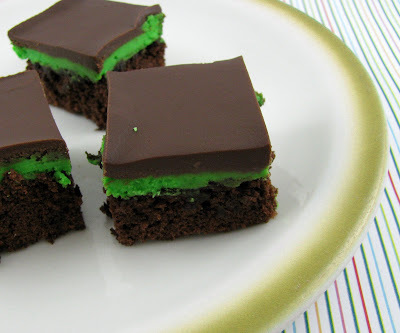 My husband would love these - he's a mint chocolate fan. And neither of us care if it's a boxed brownie mix - delicious is delicious!